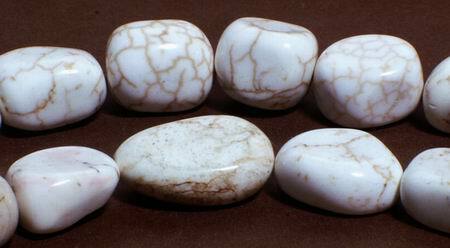 Snow White Turquoise Nuggets - Unusual! Price is per 16-inch strand of these beautiful, unusual beads. Which is about about 28 nuggets of around 18mm x 12mm, but as they are natural each strand may be slightly differet. Some may have more nuggets, but smaller - others less, but larger.